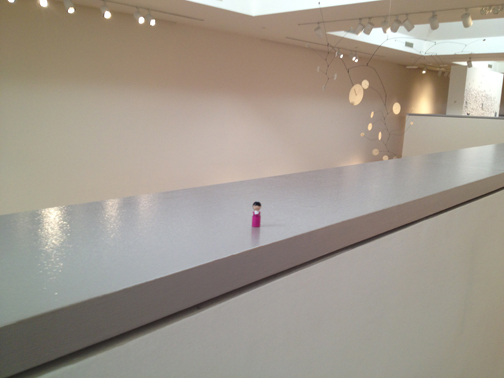 Here is Pocket Pacy standing on the ledge on the highest floor in the Portland Museum of Art in Portland, Maine. 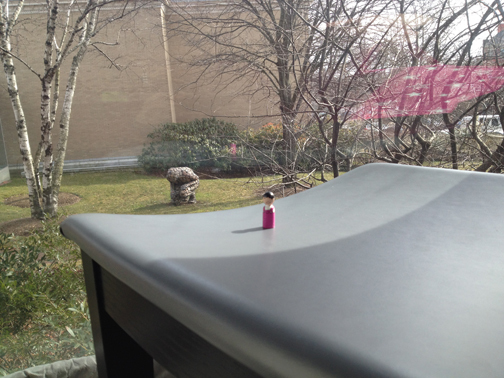 Here is Pocket Pacy resting on a bench near the staircases in the Portland Museum of Art in Portland, Maine. 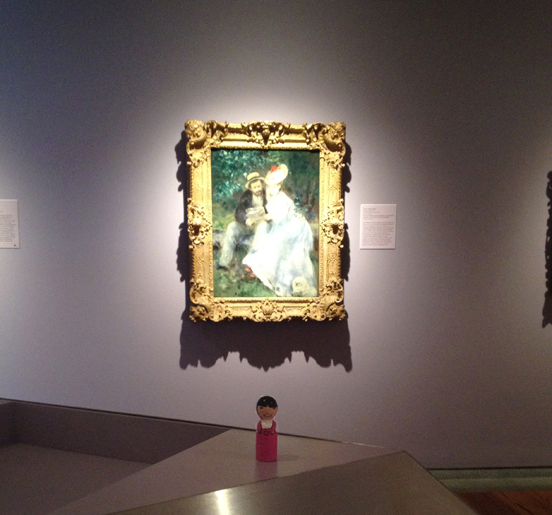 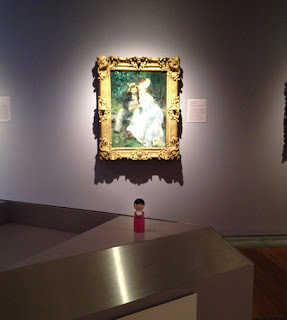 Here is Pocket Pacy standing in front of a pretty painting at the Portland Museum of Art in Portland, Maine. 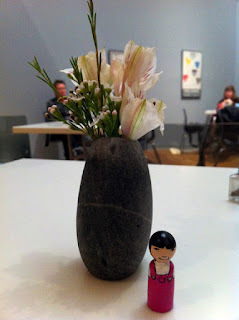 And finally, here is Pocket Pacy standing in front of a beautiful plant at the Museum Cafe in the Portland Museum of Art in Portland, Maine. Well, I think Pocket Pacy had a fun time, don't you?